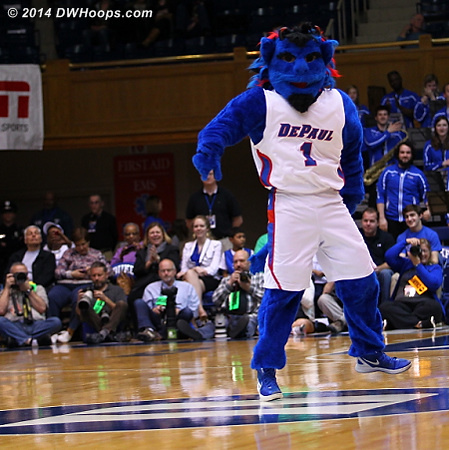 Our final photo gallery of the year was made possible by the generous support of our DWHoops members. 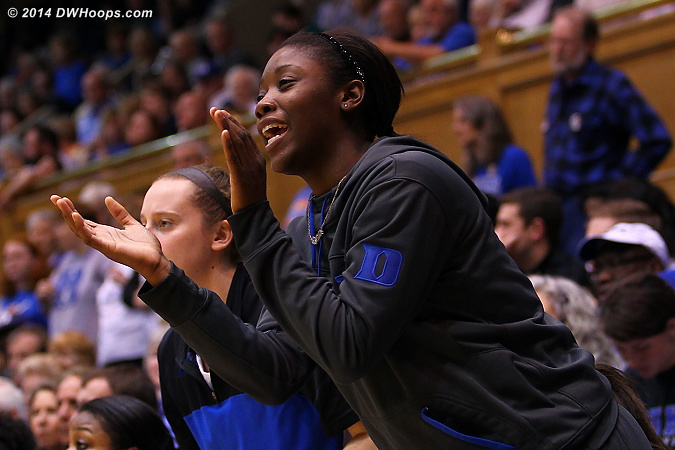 2015 memberships will soon be available. 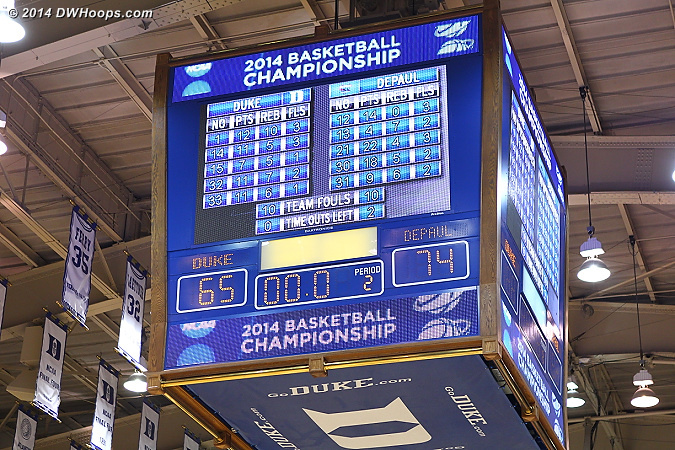 We'll see you next season. 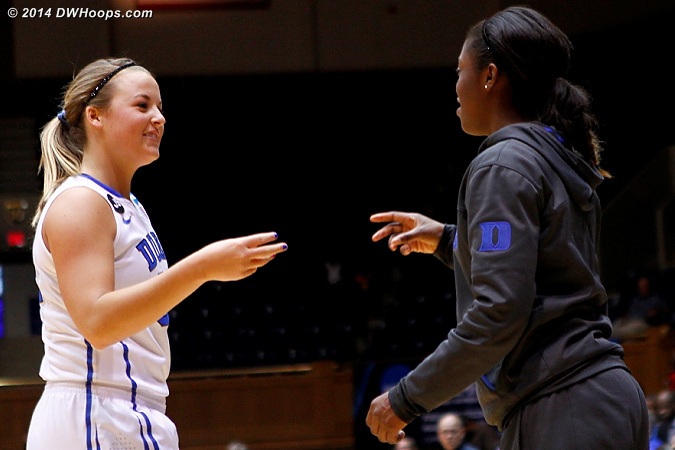 ...so endeth the trick. 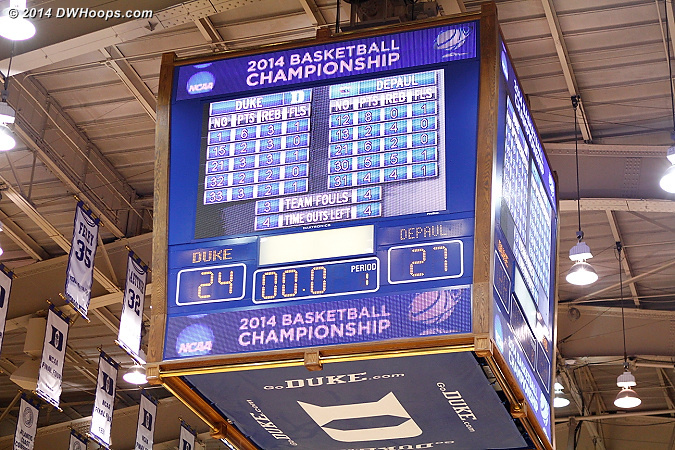 Which worked all night to perfection. 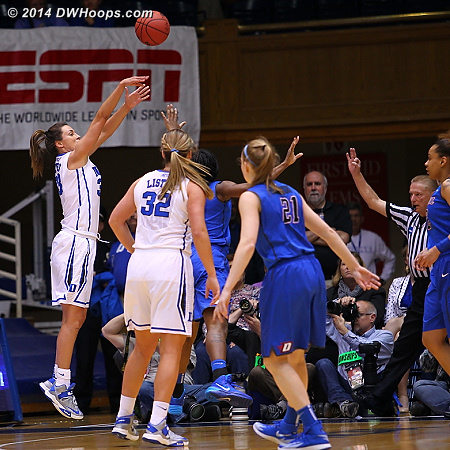 With the score 54-48 DePaul, Jackson drew a foul, then missed both free throws. 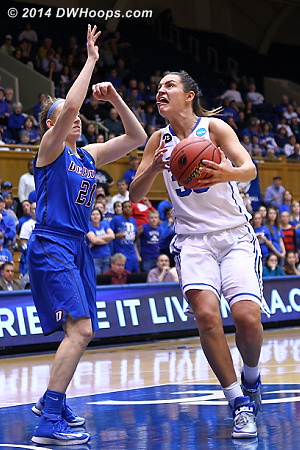 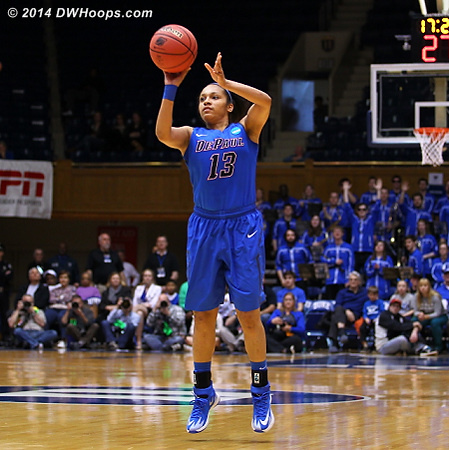 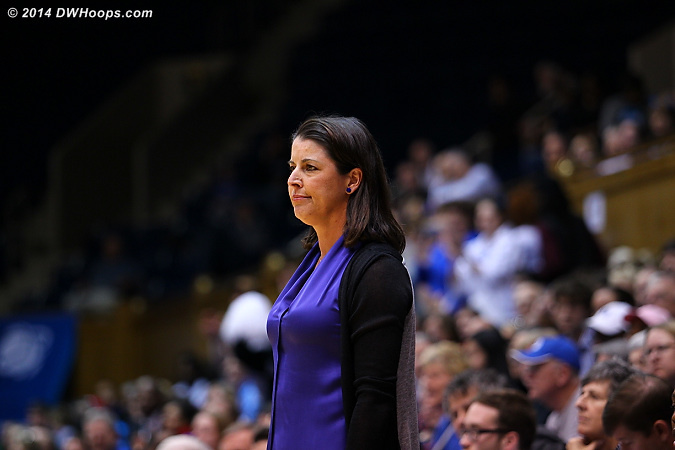 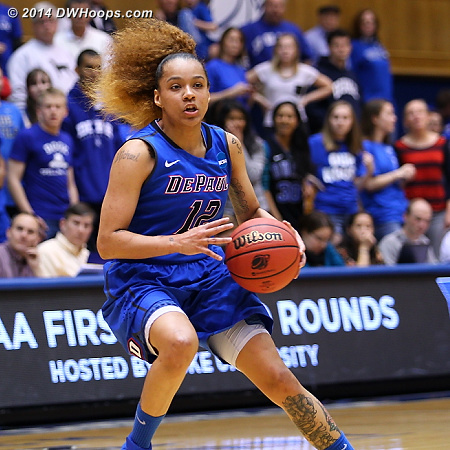 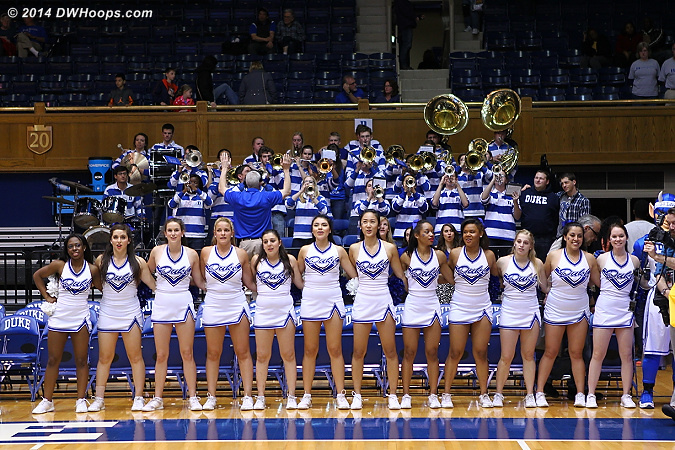 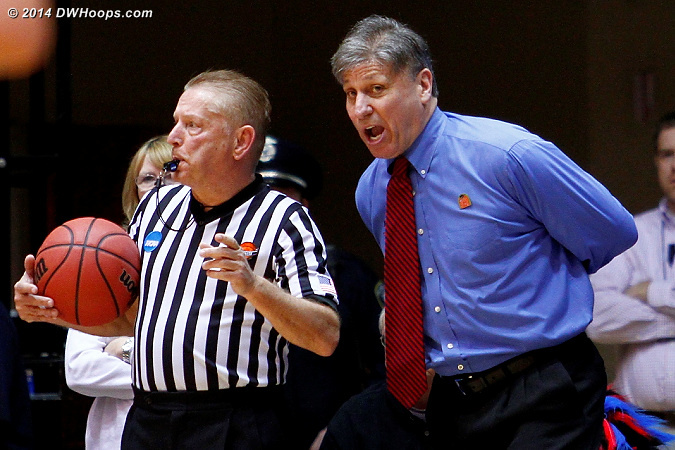 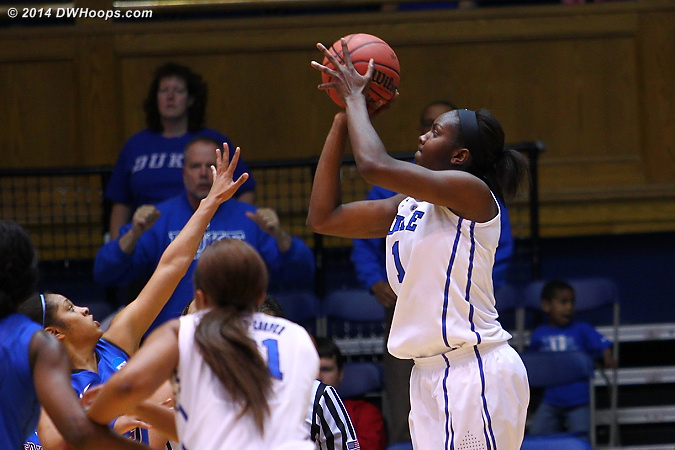 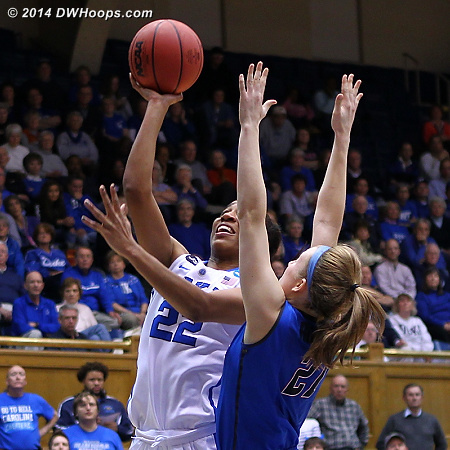 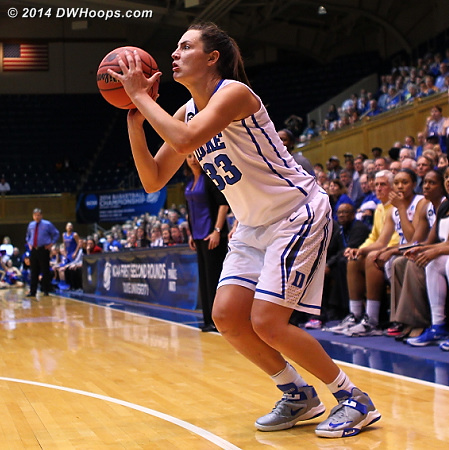 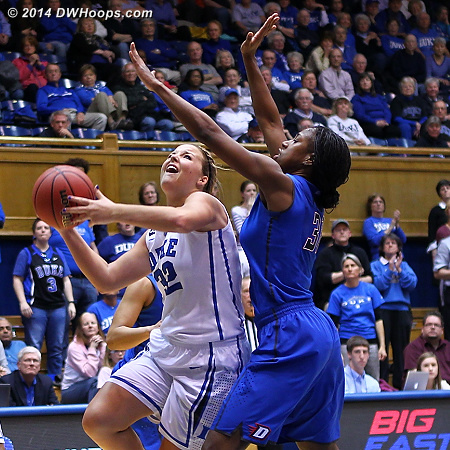 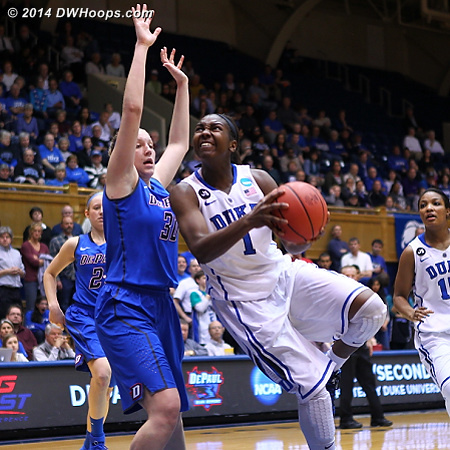 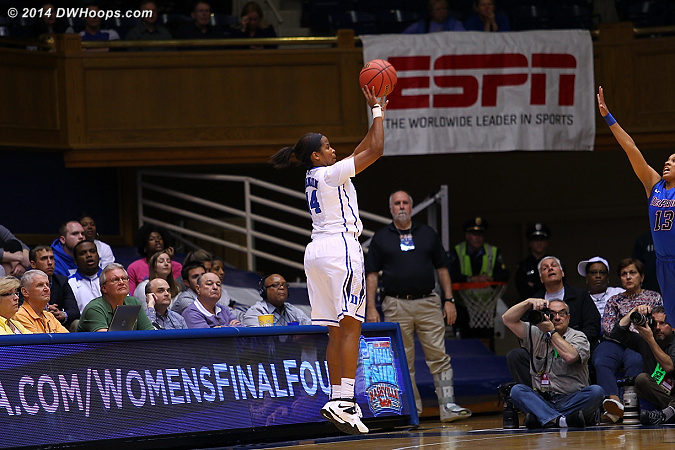 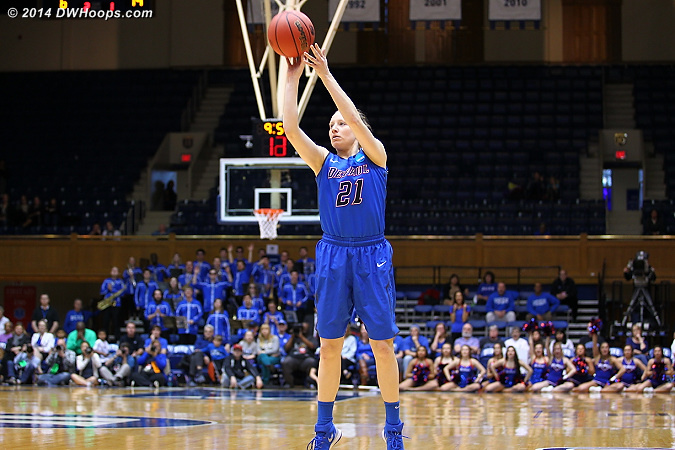 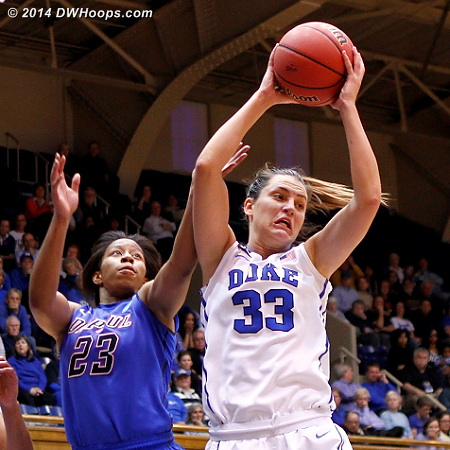 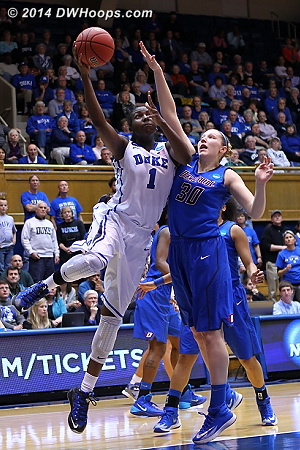 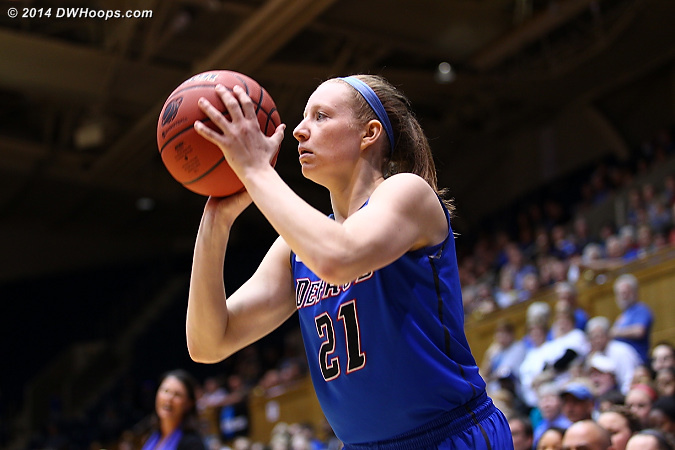 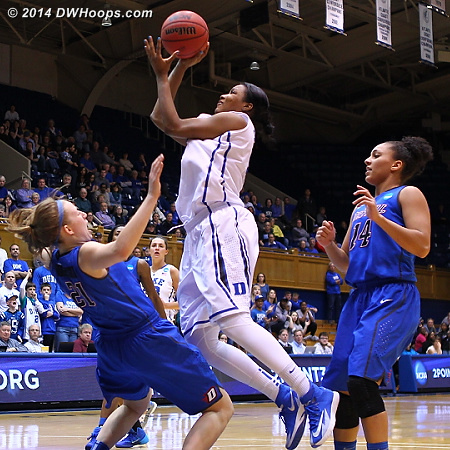 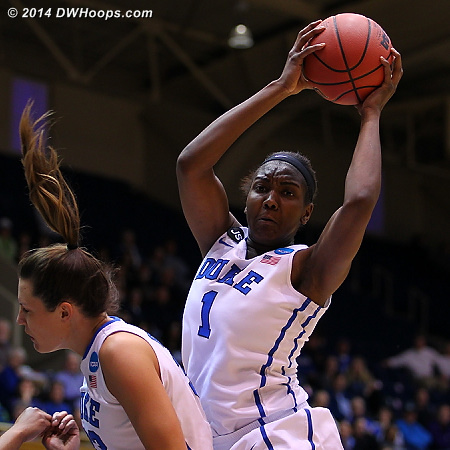 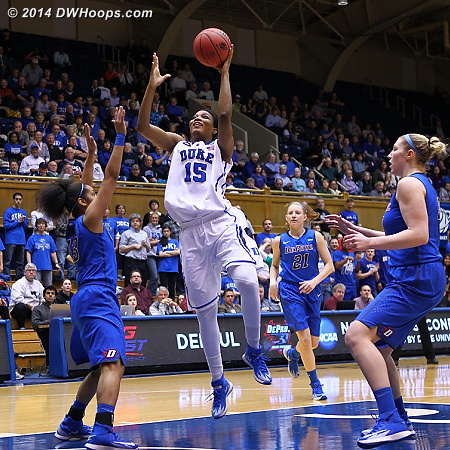 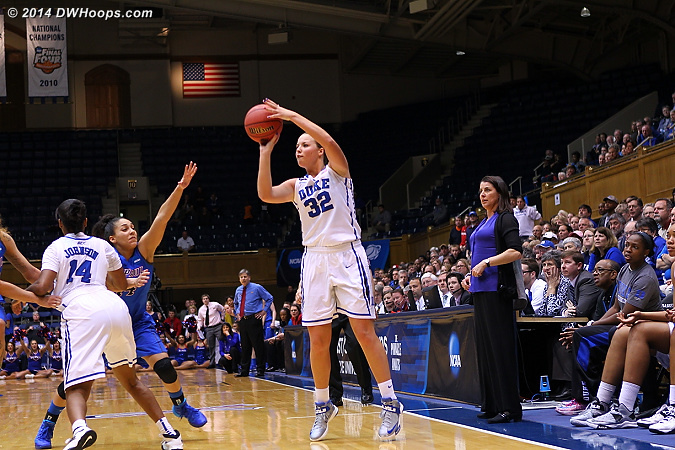 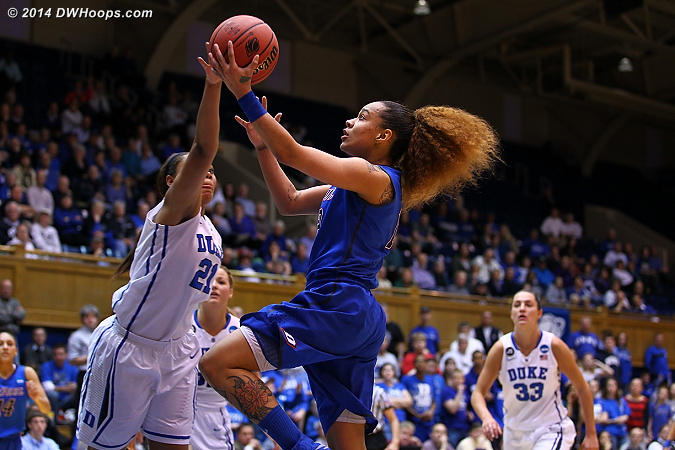 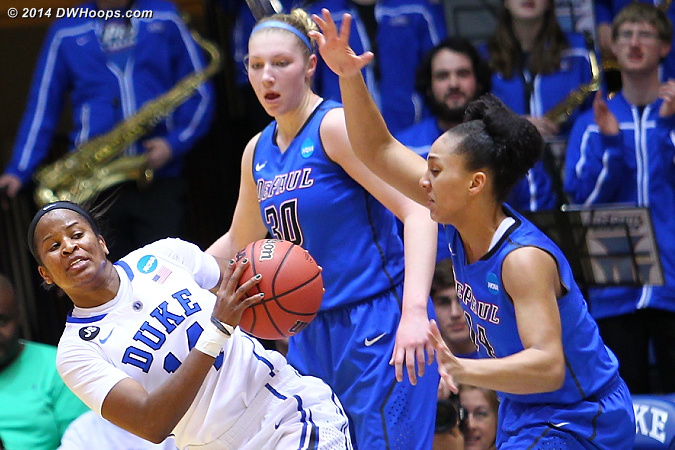 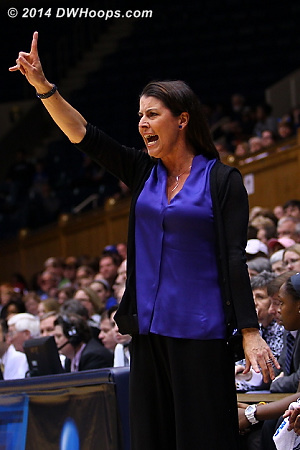 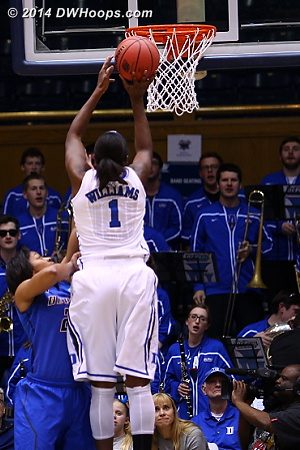 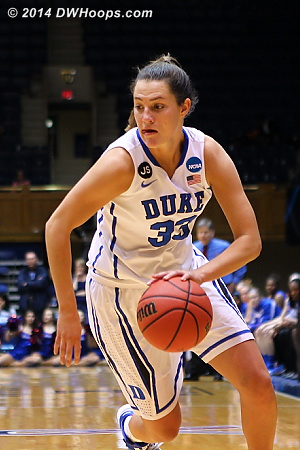 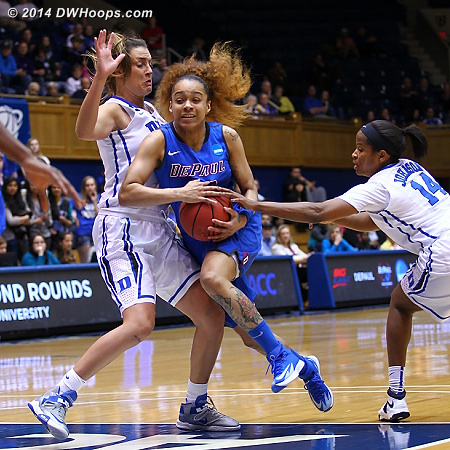 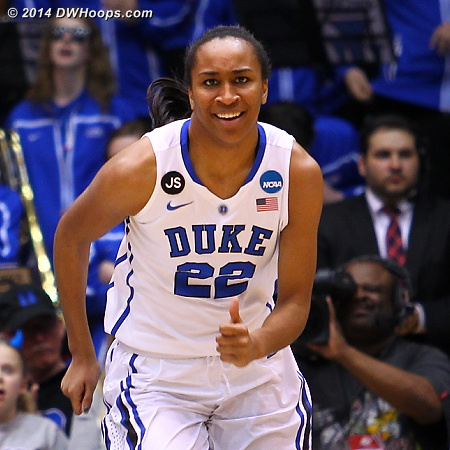 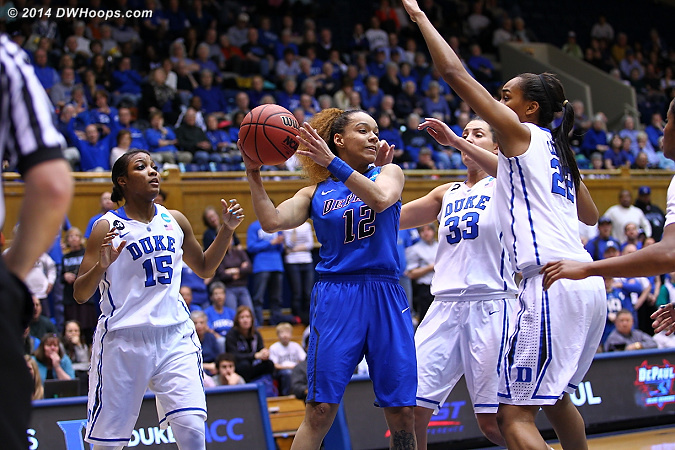 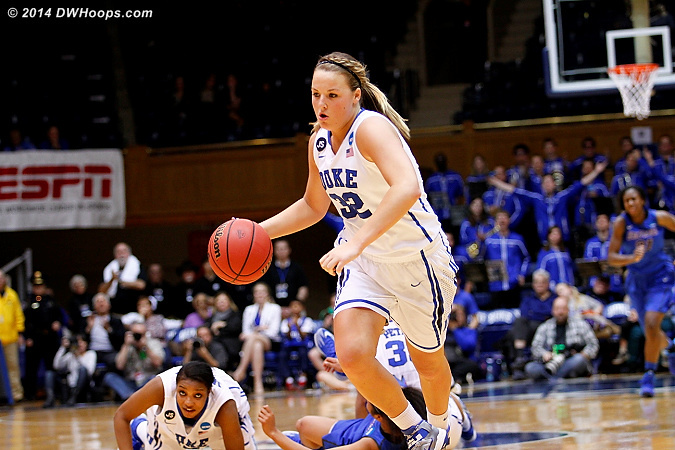 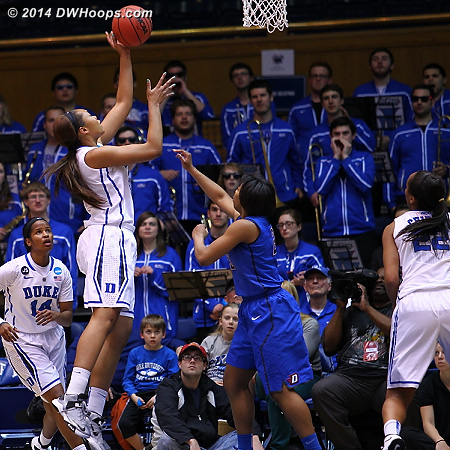 Duke was 7-14 from the line in the second half, which impaired their comeback hopes. 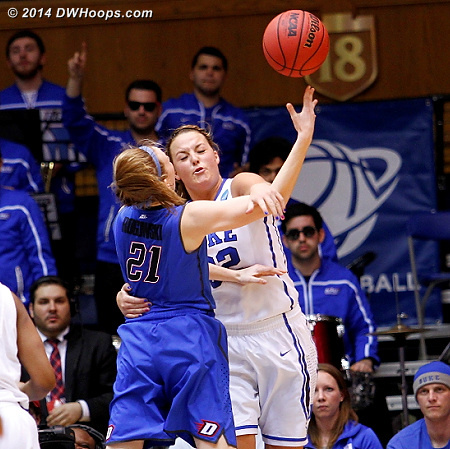 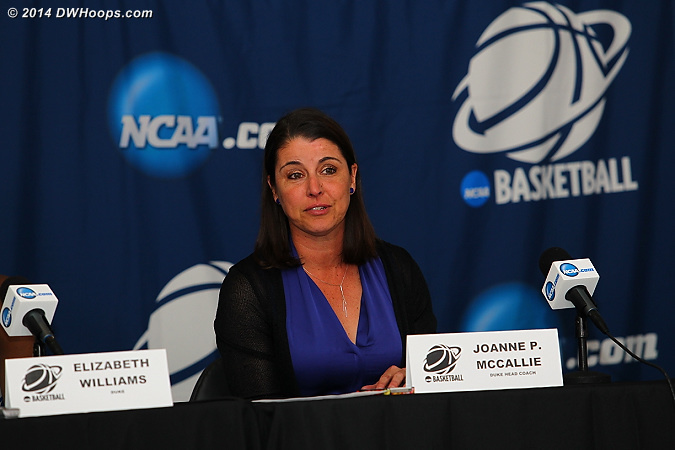 Tricia would be fouled, and miss one of two free throws. 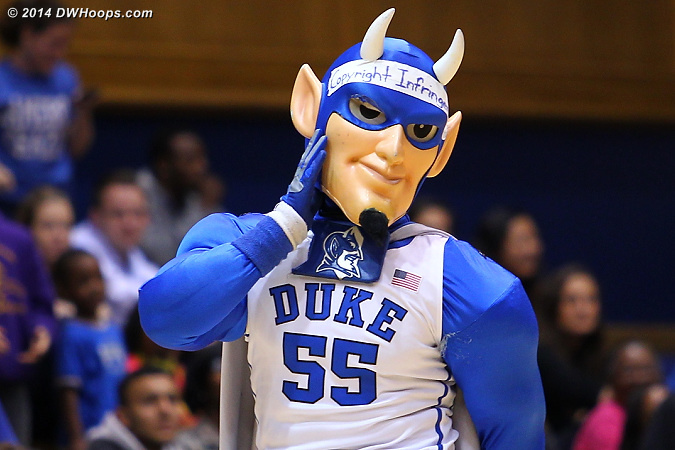 It just wasn't Duke's night in any way. 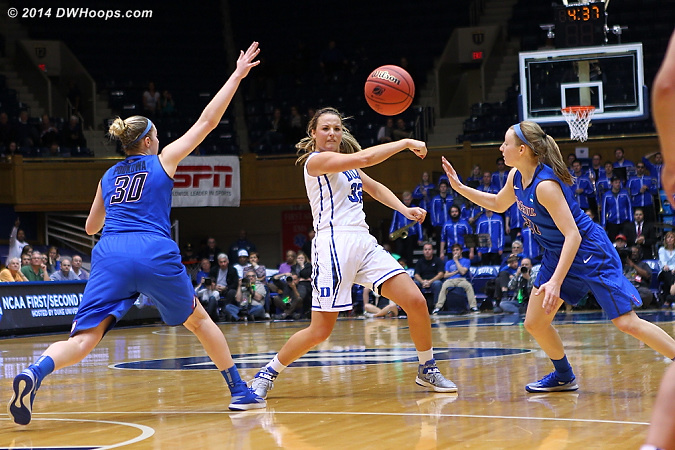 With 1:01 left, Duke trailed by eight, and this was the best quick look available, a miss. 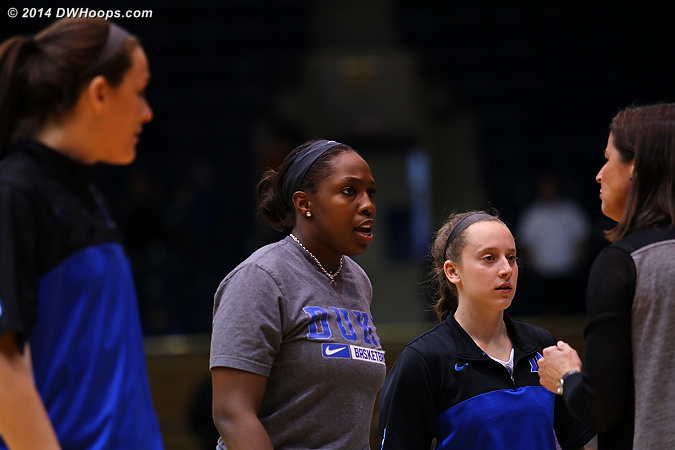 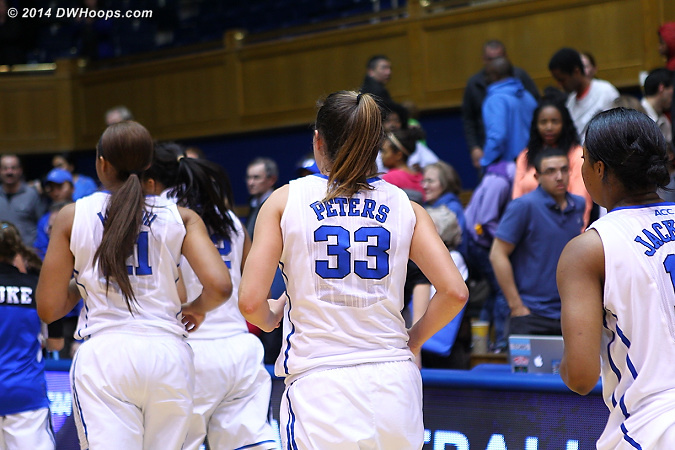 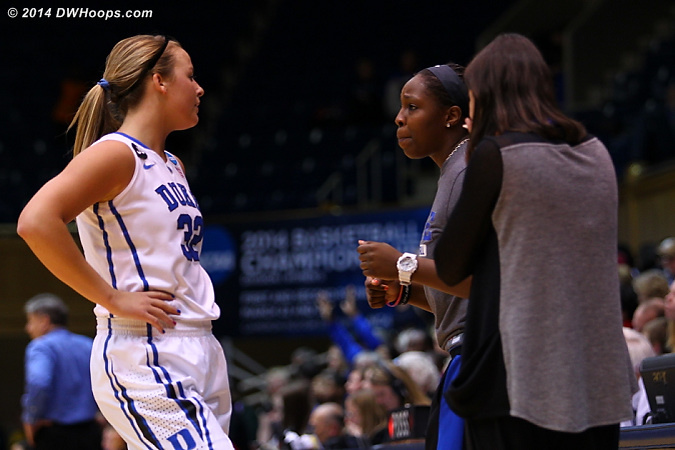 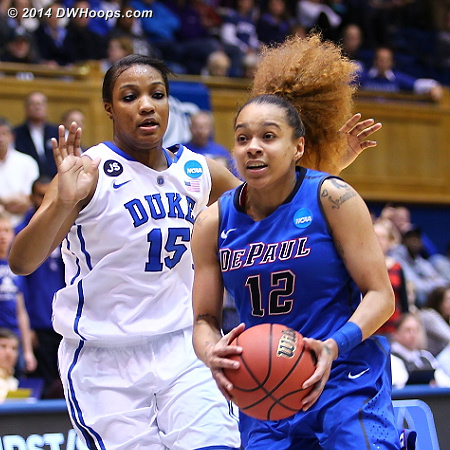 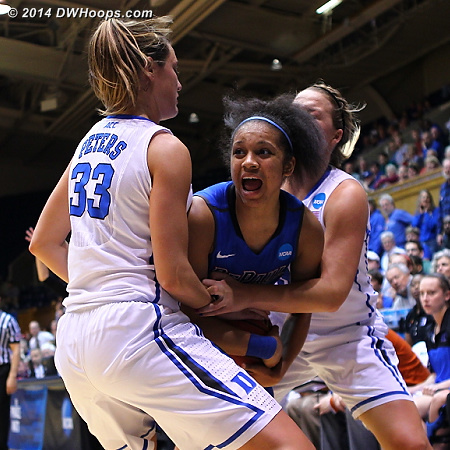 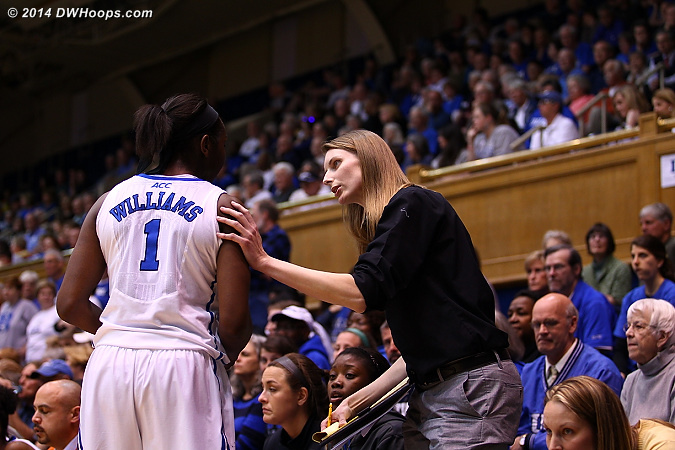 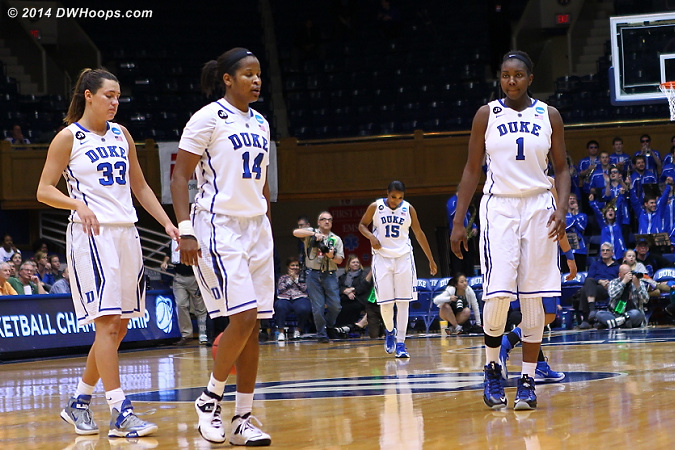 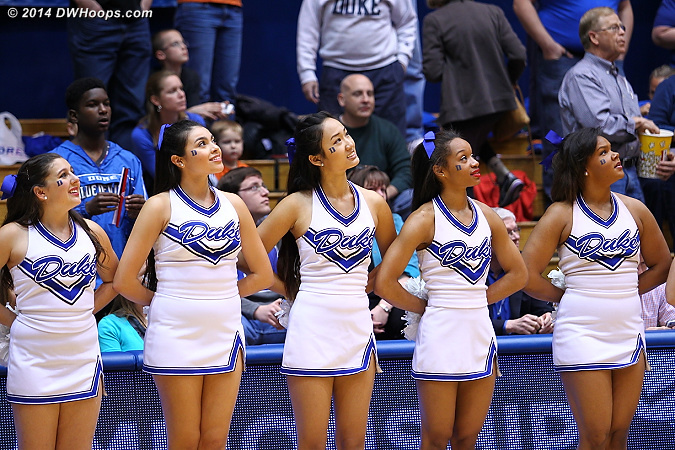 Haley Peters and Richa Jackson head off the floor for the last time at Duke. 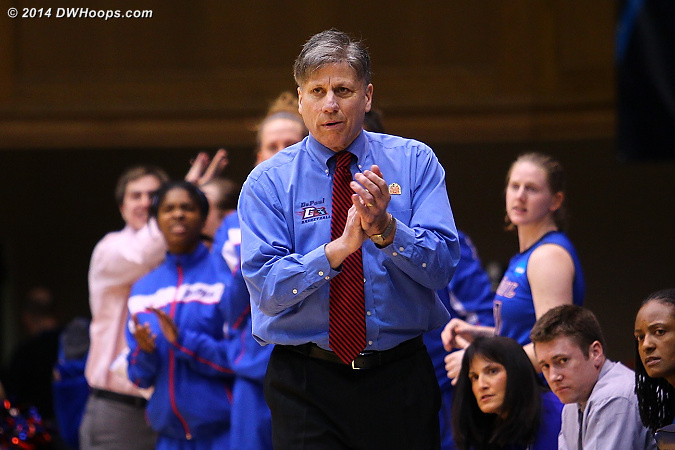 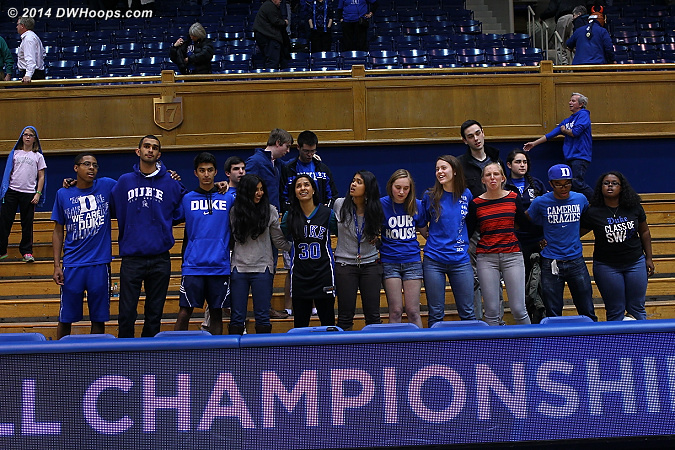 We also thank the loyal student fans of DWB, many were here for every game, even during breaks.